Mill House Lodge is located in the quaint Village of Flat Rock, a summer-time retreat for travelers since before we were a country. In the 1800's and early 1900's the Flat Rock area was a destination for wealthy Charleston and Savanah area residents who came to the area to escape the bugs and heat. Later in the 1900's visitors from Florida chose to make the area a second-home destination. Today, the Hendersonville and Flat Rock area is known througout the world as a wonderful place to visit, retire and even work and live! The City of Hendersonville is consistently ranked as one of the best places in the nation to live. Although the population of the city is a quaint 14,000, it is the county seat of Henderson County which is rapidly growing in population to nearly 125,000. 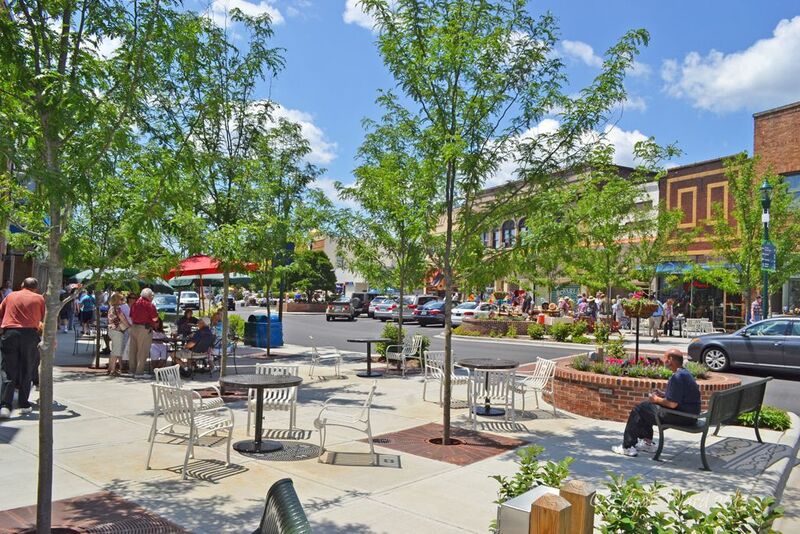 Known for its great mix of agriculture, clean industry, outdoor adventure and great food, Hendersonville is a bustling small town where every shop-front is occupied and there is always something happening. The beer and wine industries have exploded around the region over the past 10 years. Henderson County is home to 7 local breweries, 4 wineries and 2 cideries. Included in these is Sierra Nevada, the second largest craft-brewery in the country and Bold Rock Hard Cider, one of the five largest cideries in the US. The Village of Flat Rock is home to approximately 2,500 residents. Historically a suburb of Hendersonville, Flat Rock incorporated in 1995 and maintains its own town council consisting of a mayor and six council members. Mill House Lodge is only a half mile from the town offices and what is considered to be the "business district" of Flat Rock. Complete with the shops and dining opportunities in Little Rainbow Row and the Singleton Centre, its not hard to see why folks seldom feel the need to venture very far from home. Of course Flat Rock is best known for two of its earliest resident businesses; Carl Sandburg and the Flat Rock Playhouse. 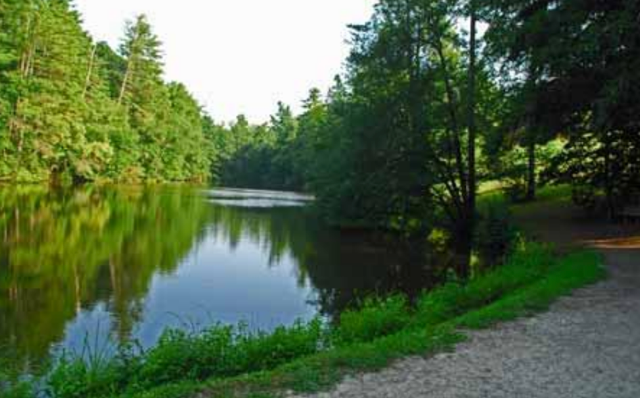 The park's vast historical and cultural resources include 264 acres of pastures, ponds, small mountains and hiking trails, as well as a total of fifty structures, including the Sandburg's residence and goat barn. The museum and archival collection housed in the 4,000 square foot Museum Preservation center is also an important resource. It is the one of the biggest collections of its kind in the Southeast Region, containing 325,298 items that include letters, telegrams, maps, photographs, motion pictures, sound recordings and 12,000 volumes of the Sandburg's books. 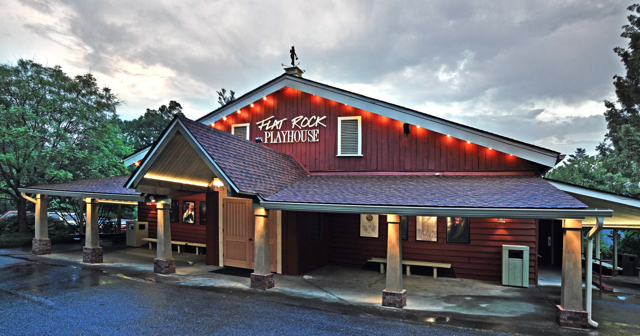 The State Theatre of North Carolina, Flat Rock Playhouse has been operating close to Mill House Lodge since the late 1930's. In 1952 it opened in its current location and now boasts a 9-month performance schedule of theatre that will rival anything you can see on or off Broadway. Over 100,000 patrons visit Flat Rock Playhouse annually to wander the beautiful grounds, pic-nic on the rock and attend a play. Best of all, Mill House Lodge is less than a mile away. Pisgah National Forest is one of the Forest Services most visited attractions. Consisting of over 500,000 acres of manage area within 13 counties, it is home to five peaks of over 6,000 feet. Known as the Land of Waterfalls, Pisgah has well over 100 waterfalls, most very well documented with access trails. One of the newest and largest forests managed by the state, DuPont consists of over 10,000 acres of hiking trails, famous waterfalls (you'll recognize them in movies like the Hunger Games and Last of the Mohicans). And speaking of our leading attraction, this section would not be complete without a mention of the Historic Biltmore House and Gardens in nearby Ashevillle. George Vanderbilt constructed his home over a 6 year span of 1889 - 1895. His descendents own and manage the property to this day. Whether you come four a tour of the house, the gardens, buy an annual pass to hike and bike or come to one of their summertime outdoor concerts, its always an amazing and grand experience.